First of all you need to discuss about your plan of arya samaj marriage with Shri Harveer Shastri on Mobile No. 08585988301 or Smt. Usha Shastri on Mobile: 08585988302. 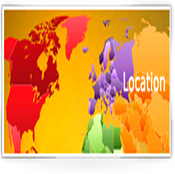 After that you may go ahead with your booking for the appropriate day according to your convenience. You may come to Arya Samaj Mandir in person or book the premises on the phone itself. While booking the premises on the phone all you have to do is to let us know your name, date of performing the proposed marriage, Time, Address and contact number. We do not have any holiday at our Arya Samaj Mandir at Delhi instead all seven days marriages are solemnized. 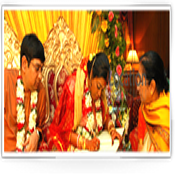 You are welcome to get your arya samaj marriage performed on Sundays and festival holidays as well. Please note that we perform the marriages during the day and they are not performed in the night hours. 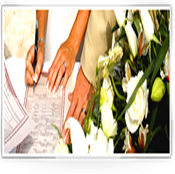 If you have completed all your documentary formalities you may come for marriage the same day. It would be helpful if you book the premises in advance before 2 or 4 days to avoid any inconvenience. Please note that do not come before calling us on the phone. You are advised to make a phone call before starting for Arya Samaj Mandir, Harit Vihar, it is helpful for us in order to make necessary preparations. The age of the boy must be above 21 years and girl's age must be 18 years. Please note that we do not determine or decide any auspicious day for marriage as such, because, according to the principle of Arya Samaj we believe that all days are equal and created by God. Please discuss with us about our Arya Samaj Mandir, Harit Vihar. Our Contact number is above. Necessary Documents Required For Arya Samaj Marriage: Age Proof , Residence Proof, Photo Witness, Affidavit and many more Other Things.